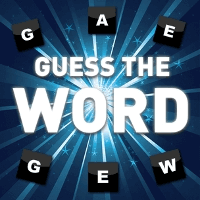 Description: Guess The Word from hundreds of possibilities in this huge word search game. Instructions: Simple to play, drag the letters to the correct positions to create a word and score! The game includes 2 game modes, On Score and Free Play. Point and click gameplay using the Mouse. what good is a game if you spend all your time trying to position a letter rather than enjoying putting a word together? Kind of tricky getting the letters right in the squares. Good word game.The last level is the hardest one.